Who said finding stuff to do is difficult?! 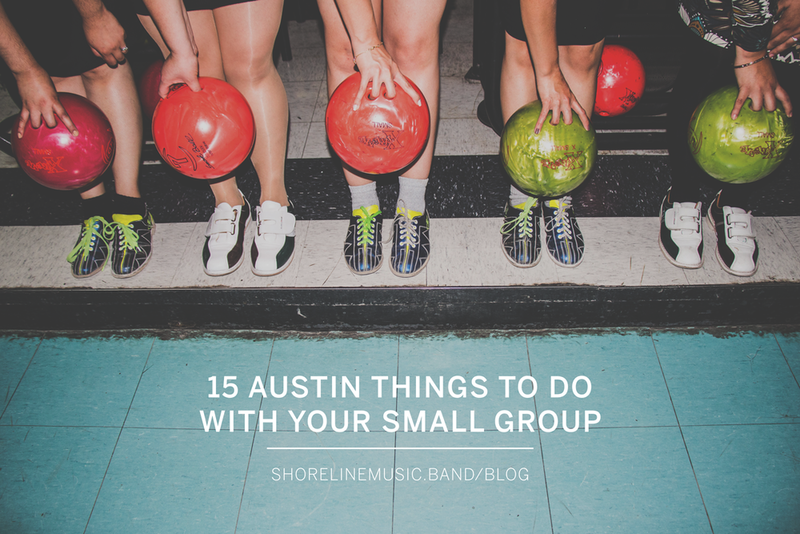 We have a whole list for you, full of creative, unconventional ways to hang with your group. Plan a day trip. Fredicksberg anyone? Rent kayaks on Town Lake. $20 for a day of fun? I'm in! Bike, run, rollerblade, skateboard together at Zilker or just in your neighborhood. Movie Series night?! Lord of the Rings, Father of the Bride, or if you're really up for it, Harry Potter. Do a weekly food tour. Michi Ramen, Food trucks, Forthright, Homeslice, just some of our faves. Volunteer at Shoreline East with Thomas Wright. Grab dessert at Copper. Or Amy's. Or a Bj's pizookie. Find an elderly woman in the church who needs yard work or little house projects done. Pinterest Party. Find a DIY everyone might enjoy and make an afternoon of it. Pitch in and sent a box of Tiff Treats to someone! When all else fails, everyone loves bowling. Whatever you do, however you do it, do it together, have fun, and give God glory.